The Micro 20/4488 Air Jacking beam is for use with Molnar four post hoist 4488. 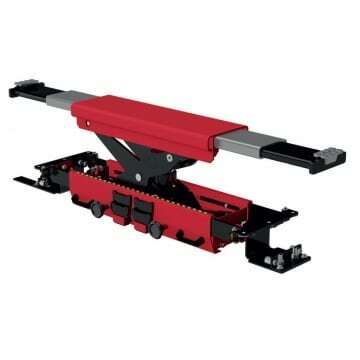 Using a pair of jacking beams in tandem provides total ‘wheels free’ serving options. Designed to address the operational constraints of the modern vehicle servicing workplace. The air jacking beam utilises an air-over-hydraulic pump unit for quick, simple, strong and reliable lifting. The top beam includes sliding extension arms to suit a wide range of vehicles and pick-up points. The unit is simple to operate and includes a range of features to maximise workshop safety and efficiency.